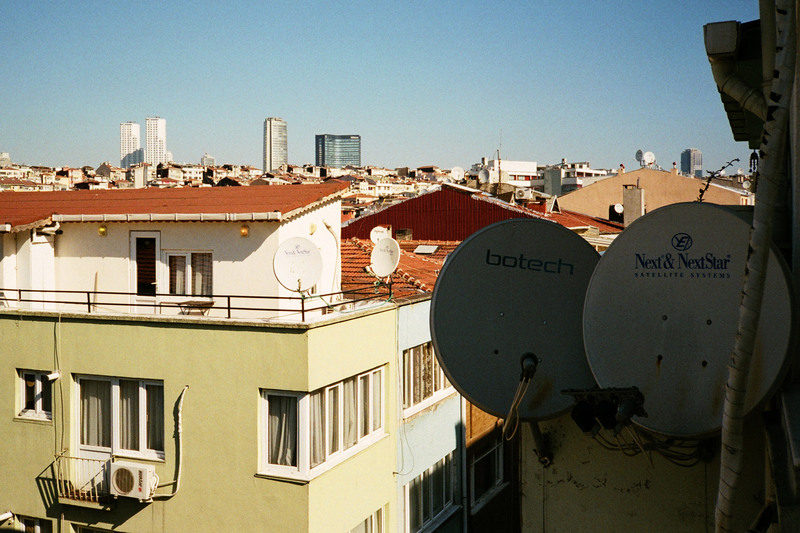 I recently had the chance to use a Yashica T5 in Istanbul. 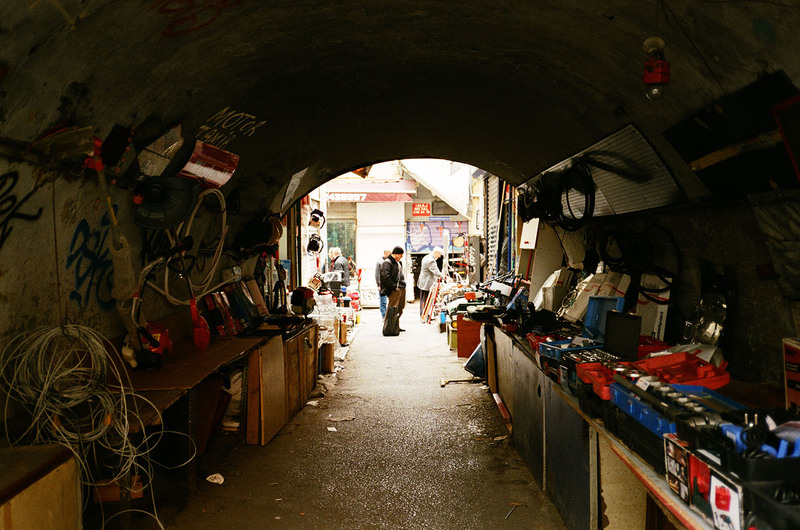 This wasn’t just any old Yashica T5. 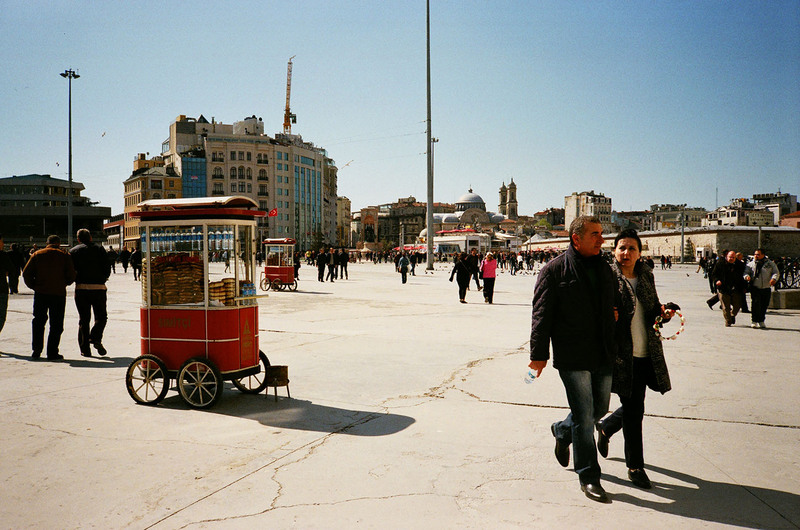 This was The Traveling Yashica, which has been making week-long sojourns around the world as part of an initiative started by Hamish Gill of 35MCC. 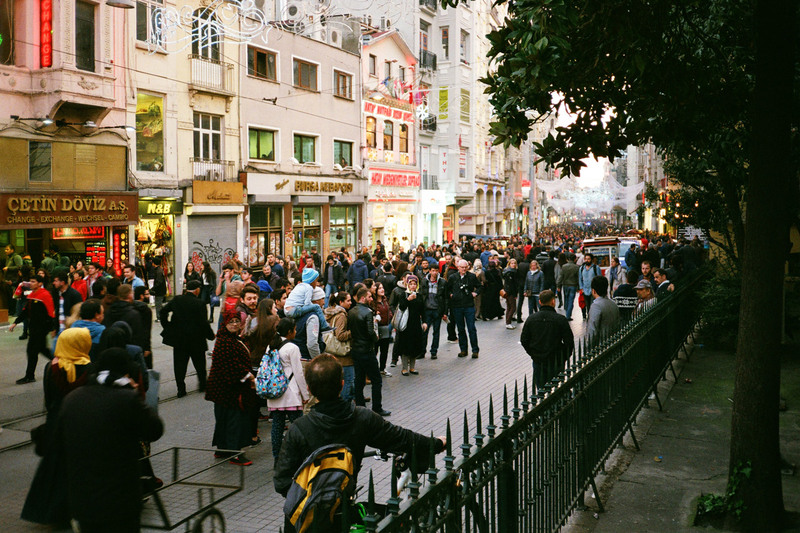 This was my first time using a Yashica camera. You can see my comments about the camera here on my blog, as well as a more extensive review on 35MCC with photos included. I shot two rolls of film with this camera, the first being Fuji Superia 200. 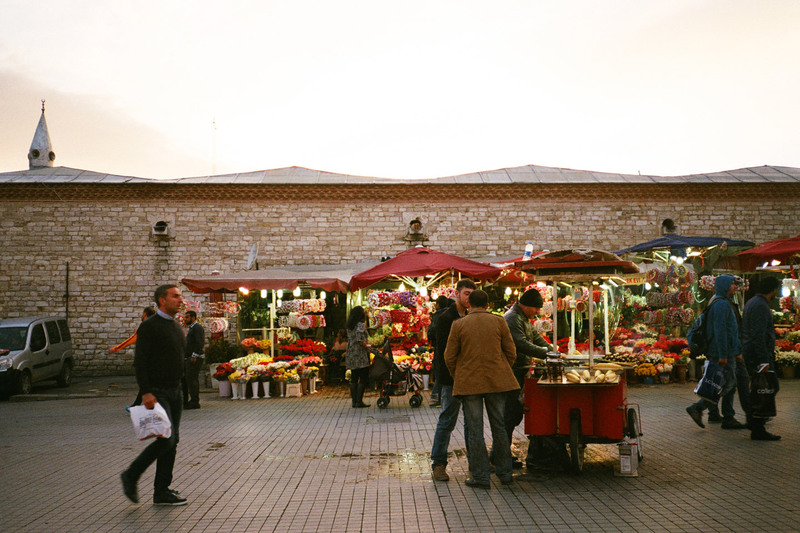 I love the rich, sharp images from the Yashica T5 as it beautifully captures the dazzling colours in Istanbul, its vibrant streets and water ways, and impressive history and architecture. Happy weekend and happy viewing! 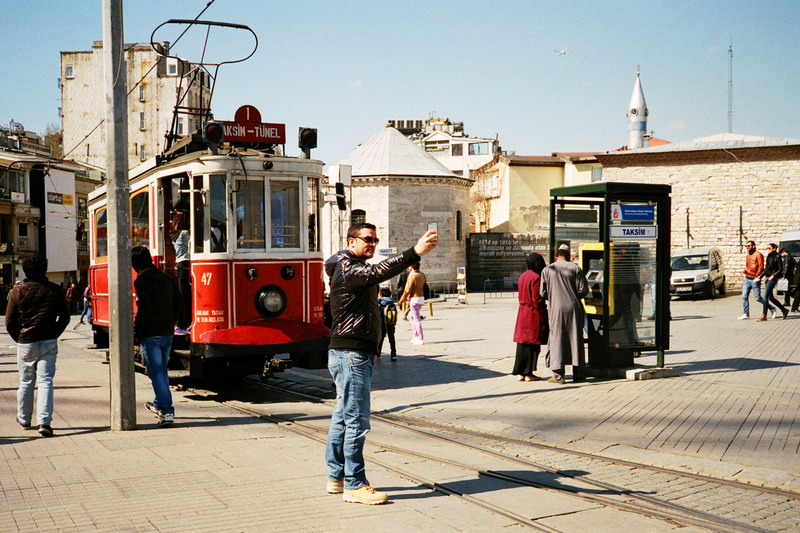 Historic tram passing through Taksim Square and İstiklal Avenue. It was common to see young boys jump onto the tram and hang on to the bars outside the tram for a free ride. 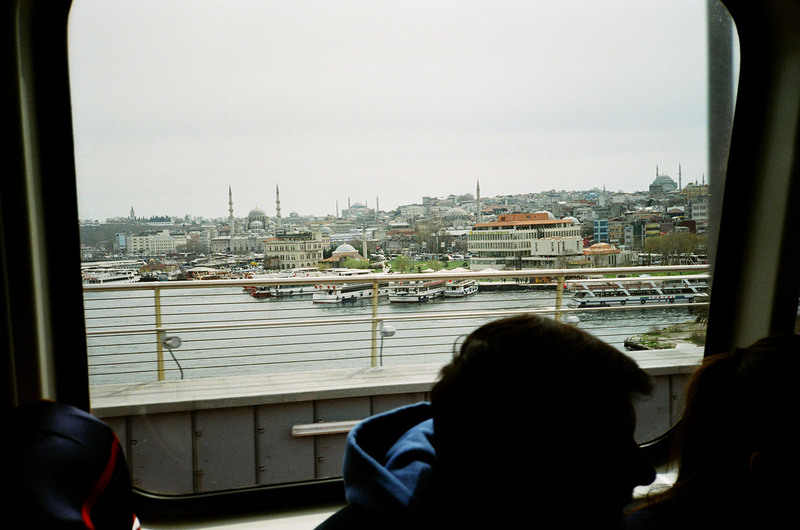 View from Galata Bridge: Istanbul is home to more than 3,000 mosques, including a small handful of imperial mosques which were commissioned by members of the Ottoman royal family. Only the imperial mosques are allowed to have more than one minaret. 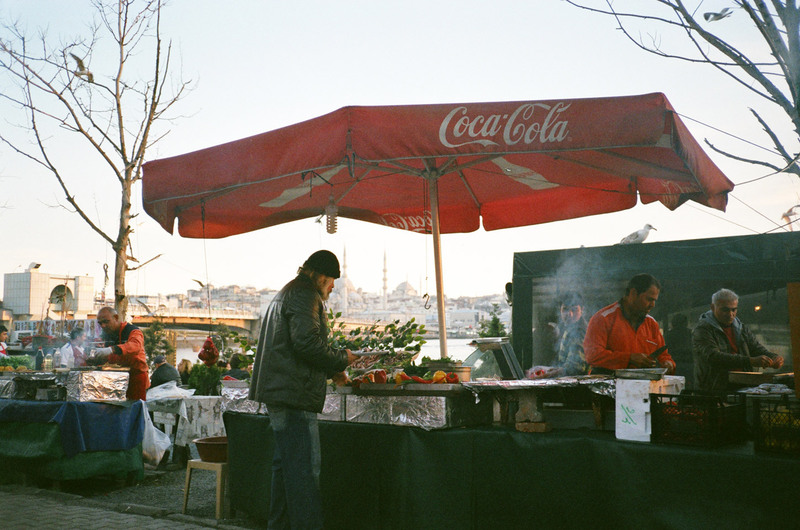 In the day, the Karaköy waterfront under the Galata Bridge is abuzz with numerous stands grilling seafood for hungry customers. 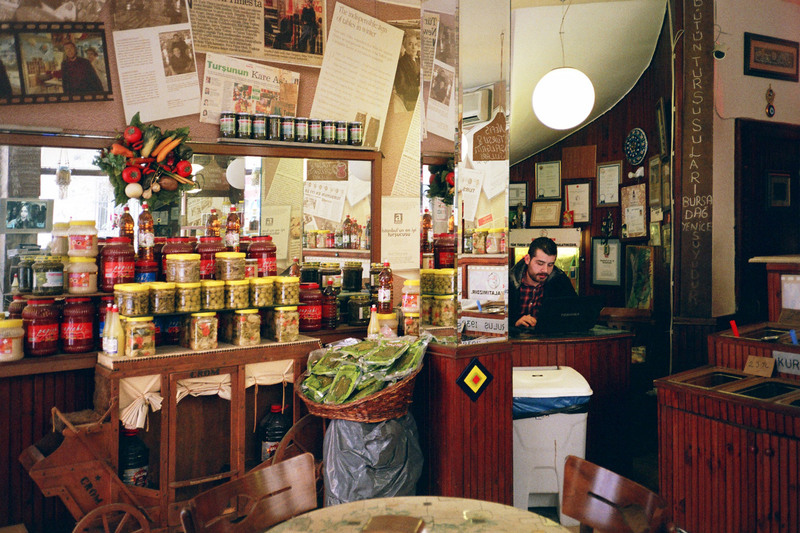 Even if you are not famished, it is worth trying a grilled fish sandwich (balık ekmekçi), especially if it is prepared by the portly Emin Usta! 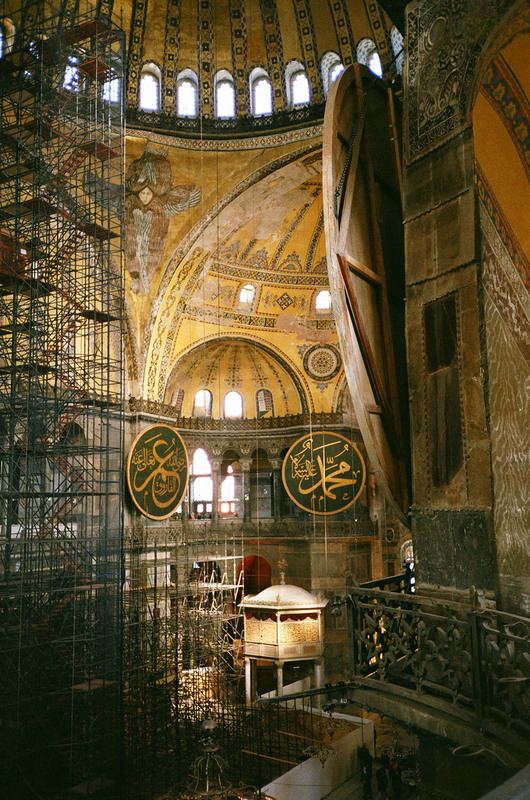 The impressive Hagia Sophia museum was originally built as a Byzantine church before it was transformed into an imperial mosque by the Ottomans. The building is currently undergoing restoration, a big part of which is to recover the original mosaic artwork. 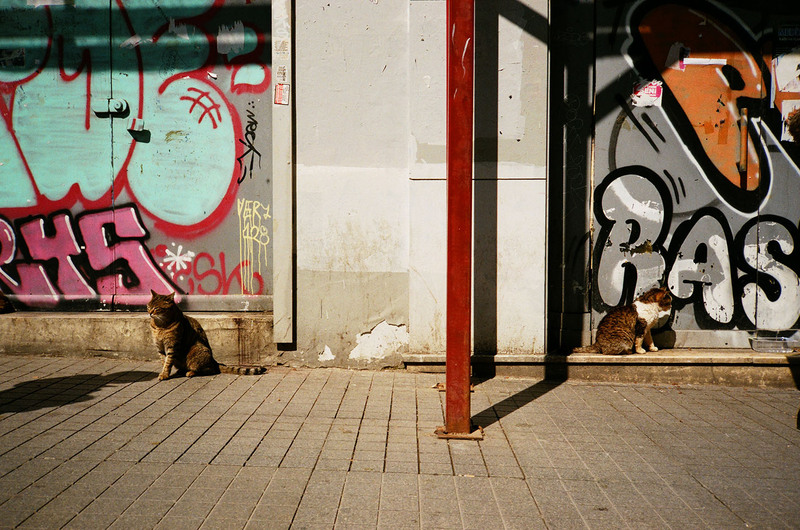 Cats roam freely in the streets of Istanbul. 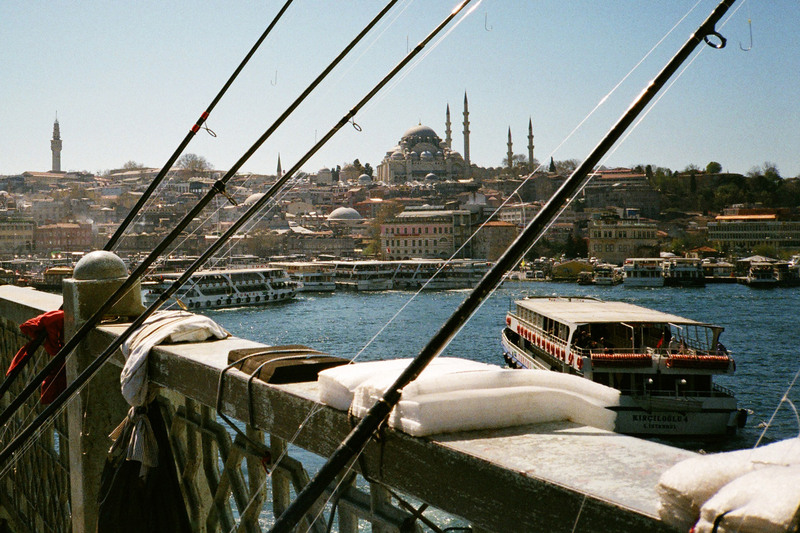 Some people say that Istanbul did not suffer too badly from the Black Plague because of the city’s many cats which helped control the rat population. 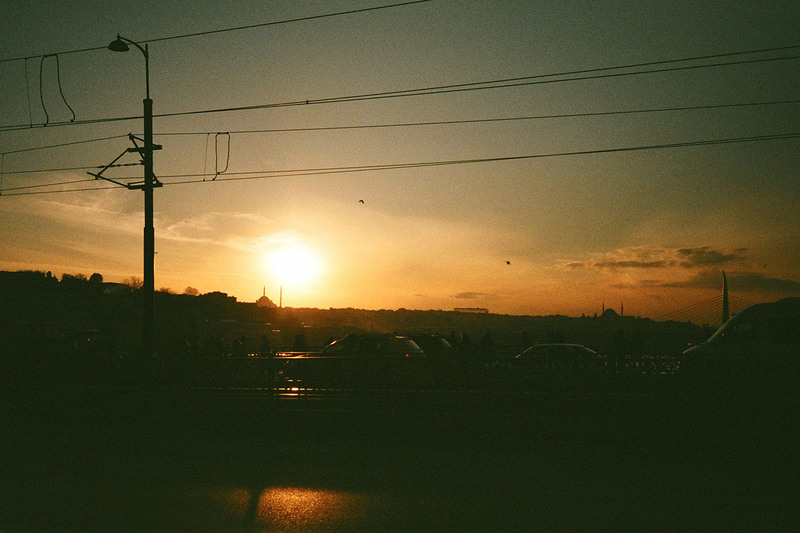 Your photos really paint a picture of the city. I’m sending the link to my friend who’s contemplating moving there for a job! Thanks Jackie! 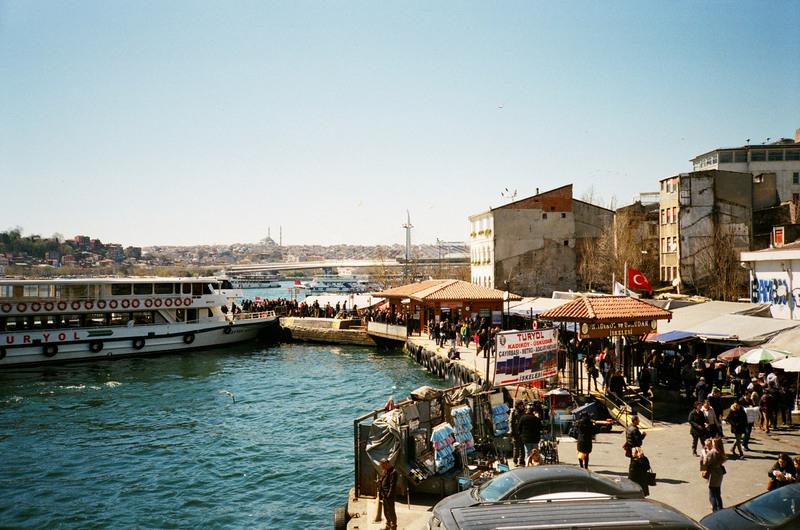 ‘A’ picture would be correct as there is so much more to be experienced and discovered in this fascinating city.